Most people are familiar with the story of Atlantis, the legendary sunken city as described by the ancient Greek philosopher Plato. Till this day, opinion is still divided as to whether this story should be understood literally or taken merely as a morality tale. 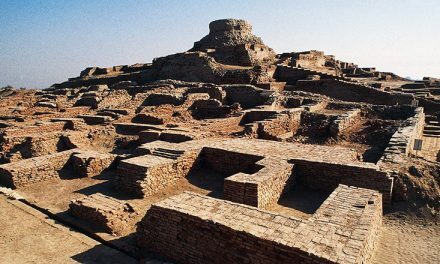 Further east in the subcontinent of India is a similar tale, though it probably is less well known compared to that of Atlantis. 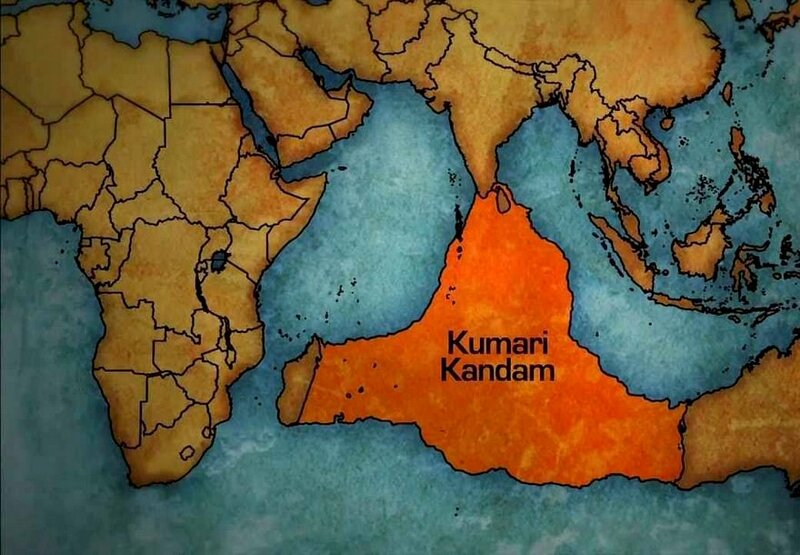 This is the ‘lost continent’ of Lemuria, frequently connected to the legend of Kumari Kandam by speakers of the Tamil language. The term Lemuria has its origins in the latter part of the 19 th century. The English geologist Philip Sclater was puzzled by the presence of lemur fossils in Madagascar and India but not in mainland Africa and the Middle East. Thus, in his 1864 article entitled ‘The Mammals of Madagascar’, Sclater proposed that Madagascar and India were once part of a larger continent, and named this missing landmass ‘Lemuria’. Sclater’s theory was accepted by the scientific community of that period as the explanation of the way lemurs could have migrated from Madagascar to India or vice versa in ancient times. With the emergence of the modern concepts of continental drift and plate tectonics, however, Sclater’s proposition of a submerged continent was no longer tenable. Yet, the idea of a lost continent refused to die, and some still believe that Lemuria was an actual continent that existed in the past. One such group is the Tamil nationalists. The term Kumari Kandam first appeared in the 15 th century Kanda Puranam, the Tamil version of the Skanda Puranam. Yet, stories about an ancient land submerged by the Indian Ocean have been recorded in many earlier Tamil literary works. According to the stories, there was a portion of land that was once ruled by the Pandiyan kings and was swallowed by the sea. When narratives about Lemuria arrived in colonial India, the country was going through a period when folklore was beginning to permeate historic knowledge as facts. As a result, Lemuria was quickly equated with Kumari Kandam. 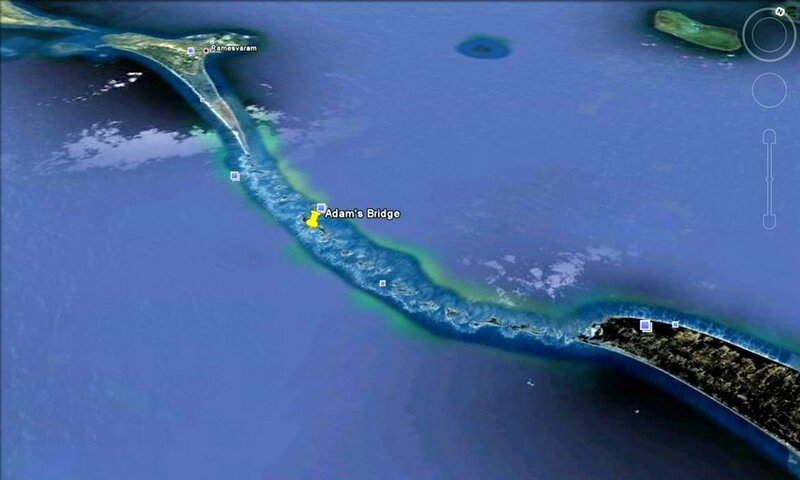 One piece of evidence used to support the existence of Kumari Kandam is Adam’s Bridge (also called Rama’s Bridge), a chain of limestone shoals made up of sand, silt and small pebbles located in the Palk Strait extending 18 miles from mainland India to Sri Lanka. This strip of land was once believed to be a natural formation, however, others argue that images taken by a NASA satellite depict this land formation to be a long broken bridge under the ocean’s surface. The existence of a bridge in this location is also supported by another ancient legend. The Ramayana tells the tale of Sita, Rama’s wife, being held captive on the island of Lanka. Rama commissions a massive building project to construct a bridge to transport his army of Vanara (ape men) across the ocean to Lanka. As with most so-called myths, it seems likely that there is at least some truth to the ancient Tamil legends of Kumari Kandam, but just how much, is yet to be determined. Very good information. Please restart your regular posts on health and wellbeing. So what is your point, are you saying that Ape man, hanumans army are mythical or fables. When writing articles always quote Shastra the original law books and not to speculate on a mundane writings which bears no substance but confuses readers. Is there secret operations recovering the wealth? it is great learning for me. It is said in the old text that the land was submerged twice. That mean long history, different eras. The government changed location twice. The last time they settled was at what is the actual Madurai city. What is interesting is not where their last capital was nor how big was their continent. What is interesting is the kind of culture they gave to the world. None of other cultures has reach such levels. Why, because they were different human beings and they had alien knowledge support and presence. Recently, it is proposed that there is an underwater continent comparable to present Australia, almost joining Australia and Bharat. It is likely that the same continent extends to Madgascar. Though there may be many references of such hidden cities or land masses, in view of our tendency to exaggerate everything many times over, it becomes difficult to determine the extent of truth in historic literature. Hare krsna The truth will prevail someday. It is coming slowly but surely. 1) If you want to argue something about which is the oldest language Tamil or Sanskrit then, worry about loosing the beauty of all 16 official languages to English in the future. Don’t be blind sided by the pride of one thing over other else outsiders (foreign culture and religious organization) will even slowly and subtly replace that by taking advantage of internal arguments and diverse differences. We both know Tamil and Sanskrut are both beautiful languages so let it be, nothing more. You nor I are spiritually evolved to determine that. Since when is it called Adam’s bridge. It’s RamSetu. Don’t let the western culture replace names, timing, events and location about sacred incarnation of Lord himself. If there are evidences in existence, yet, that there was Kumari Kandam, it is indeed worth to explore, as exploring is definitely possible with available advanced Oceanography technology. Very interesting to read, please post more related stories. Very good information and expecting further story about this. Thank you for posting these articles about the ancient knowledge. It has helped in the discovery of some of my ancient ancestors. I will always be grateful to the India, it is one of places I plan to visit before I leave this earth. It is very good platform for exchange of ideas and thoughts. I request the readers to refer our culture and the way of life of our ancestors adopted and the values which led to attack Raavana by Lord Sri Rama along with Vibhishana, the brother of Ravana. In fact the generations since then were suffering from submerging of the Values and that has reached highest level. We should think in that perspective, in fact we need persons like Brother of Ravana. V. interesting topics. awaiting further information about this topics. It seems Lemuria is named after nocturnal primates called Lemurs. They are still found in Madagascar. Do they still exist in India?Do we know their Indian name? They are very interesting animals.They are v.small now, maybe 2 feet tall. How big were their fossils? In USA and Canada there was an animal T.V. show for children based on a Lemur called Zaboomafu, for those people that appreciates animal documentaries. Internet search on topic minakshi temple reveals that survivors of kumara kandan brought minakshi deity to Madurai in 6th century bc and kumara kandan was lost in sea in 16th century bc. Minakshi deity is one of the deities out of 1000 deities in india listed in a book titled Goddesses in World Mythology by Martha Ann of Columbia University and this book lists 3500 goddesses worshipped across the world during the period 30000 BC to 5000 BC. This is totally new to me but very interesting. Govt. of India should be approached to take up research & World Bodies could then join in to know more about Kumari Kandam. It could reveal answers to many unanswered questions. This is possible. Our old scriptures, written on “bhoj patra” have huge knowledge stored. This was long long before “chinese” prepared ‘paper’ !!!!! Probably ‘Jain’ munis may have these “bhoj patra” (many of them. There are 4 yugas and I am giving below the number of years for each yuga. years. If anyone has difference opinion, kindly share it here. Thanks. All true, but the location is actually the Sunda shelf, presently ~50-20m sea level extending southeast asia almost to australia.